PROOF! Con Edison Sucking Energy from Sun! 2/6/16, 7:06 AM Solar energy being sucked into one smokestack of the East River Generating Plant, Manhattan. Note the proximity of the Con Edison headquarters and its suspicious “Tower of Light” on the left. 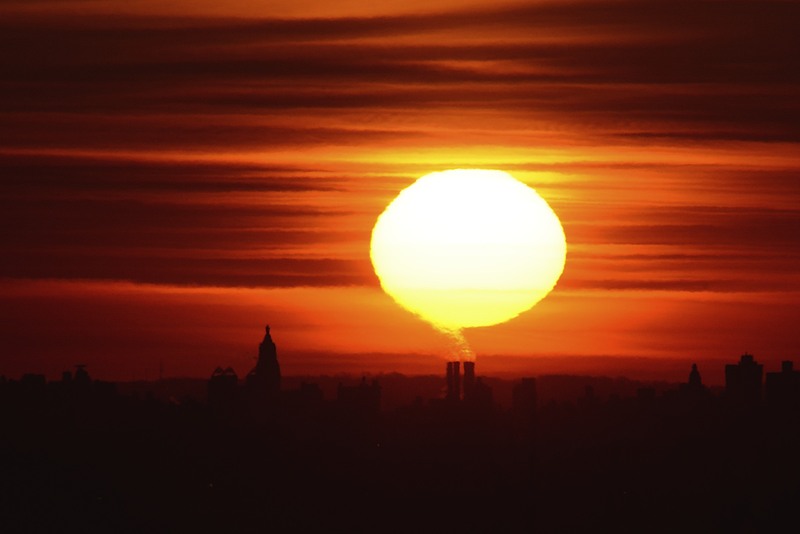 At 7:02:40, just 4 minutes prior, the sun is seen right behind the Con Ed Building, a 26 story tower completed in 1928 serving as a testament to the company’s power and influence over New York City. 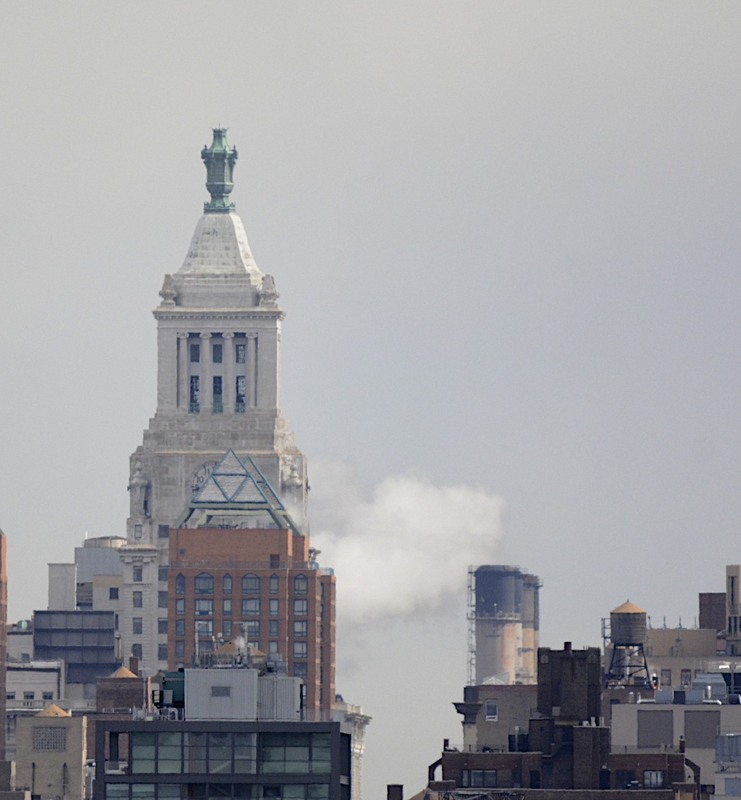 A few days later, 2/11/16, a closer vantage point reveals the suspicious proximity of the so called smokestacks (actually a mile further) to Con Ed’s odd looking, bronze Tower of Light. 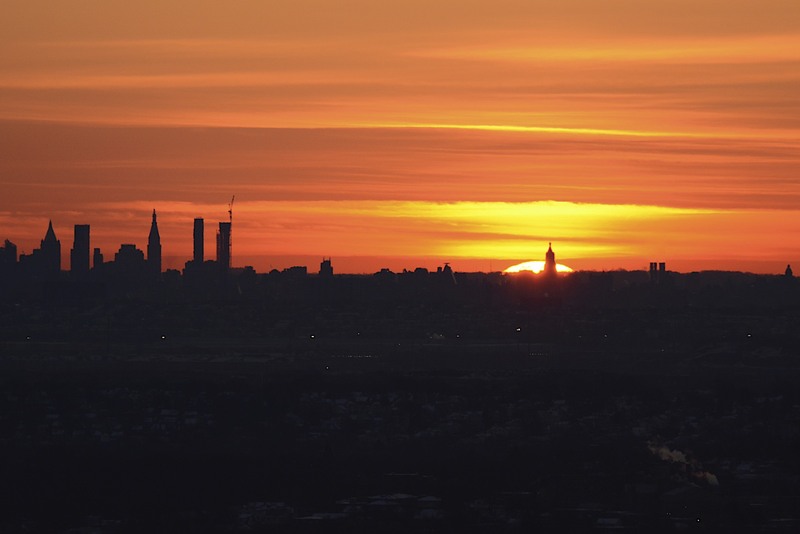 No issues here…whatever their methods, Consolidated Edison has served the needs of most of New York City and Westchester County for over 150 years providing steam, gas and electrical energy. Oh, and yes…the first photo, in fact, shows an interesting optical refraction of the sun’s image by the heat rising from that one smokestack. Neat . . . a nice capture and a nice illusion.